Wish needed scalable data infrastructure that worked right out of the box. 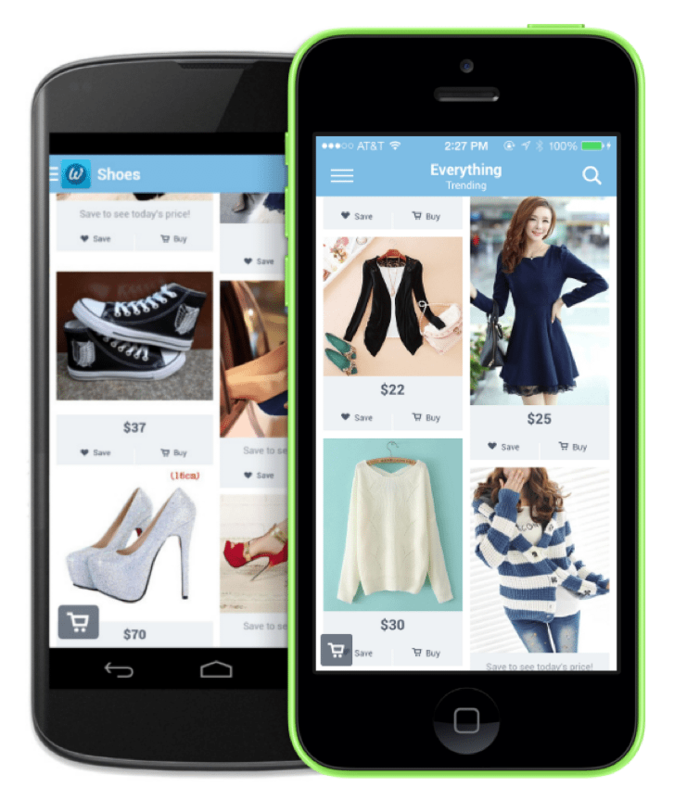 Back in early 2012, the recommendations based shopping app had grown from a data science experiment at ContextLogic into a full web and mobile e-commerce platform with more than 15 million daily active users in just under 18 months. User analytics revealed their fastest growing segment was women, who wanted even more personalization from product feeds to recreate the experience of a shopping mall. The team quickly realized they needed a way to continue evolving their app for this new user segment without a lot of expensive and time consuming research. Given their background in data science, they decided to double down on analytics and build the entire app with relentless A/B testing. To do this right, they needed to capture data. A lot of it. As former Yahoo!, Google, and Facebook engineers, they knew the intricacies of owning data infrastructure at this scale. Given the size and priorities of their team, they knew they shouldn’t get involved with maintenance and support. They needed a completely plug-and-play solution so that they could focus on using data, not processing it. When they discovered Treasure Data with its suite of collection, processing, and management tools for analytics pipelines, that wish came true. In just two hours, Wish’s co-founder integrated Treasure Data’s open source data collector – fluentd – with their backend servers to capture enriched HTTP request logs in Treasure Data’s cloud data lake. This single point of logging provided a unified view of all user activity, allowing them to track events across all of their storefronts with a single data stream. Once this data was safely captured in the cloud, they used Treasure Data’s web console and Python API to segment it into different feeds using simple SQL queries. 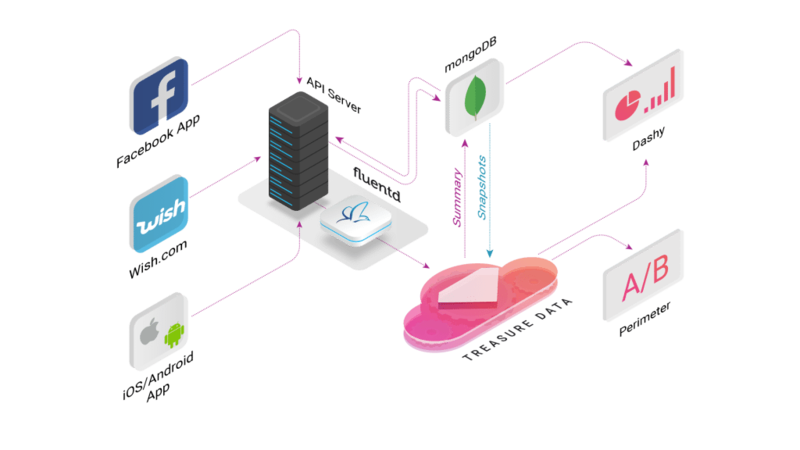 This gave everyone on the team access to user data on-demand, and let them turn useful ad-hoc queries into continuous data streams with a single click. To build an agile, data-driven product, it was exactly what they needed. 100% self-service. 100% hassle free. This left the Wish team poised to make user data a core component of their development process. With a few queries through Treasure Data’s python API, they built their own tag-based A/B testing framework to monitor changes in every important usage metric with each product update. This rich attribution helped them account for the full nuance of user behavior, and develop an intuition for the things that influence specific actions in the app. For example, they quickly determined that some user activities were cannibalizing others. It seemed there was a limit to the amount of time users have to spend with their app, so when they make changes to encourage certain in-app activities, others will naturally decline. With this in mind, they were able to start building the product in a much more interactive way. They could let authentic user feedback guide them towards their goals without sacrificing user experience. 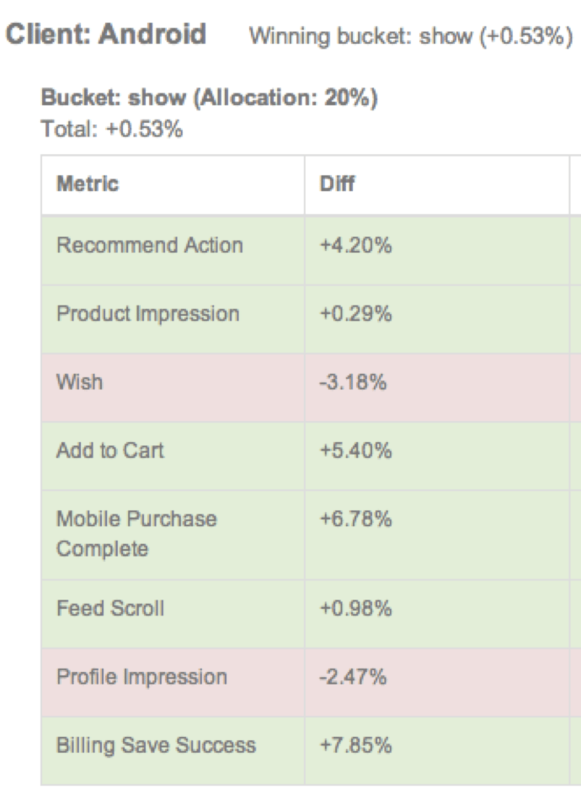 In return, users love Wish; making it the second most highly downloaded shopping app with more than 100 million users. Building on this massive success, the Wish team now uses Treasure Data to process 3.4 billion events per day and serve this information to every part of the business. Developers can interact with it from the command line to set up new data streams feeding their machine learning models on the fly. Wish’s hundreds of third party merchants can review every impression on their thousands of product listings from a personalized online dashboard. And every Wish employee can explore user behavior trends through Dashy, an internal charting tool built on the Treasure Data API with MongoDB for fast-retrieval caching. This unprecedented ease and flexibility of data access lets Wish put its users at the center of every decision to create one of the fastest growing e-commerce platforms in the world. 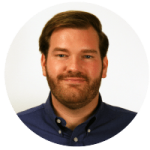 To learn more about user analytics at Wish, check out Adam Flynn’s talk at MongoDB World.